Judi is using Smore newsletters to spread the word online. ANONYMOUS ALERTS Go to the AHS Website and click on "Anonymous Alerts." ANONYMOUS ALERTS helps you to improve school safety. Bullying-Repeated negative behavior by one or more people towards another. Depression-When someone experiences intense sadness, feelings of helplessness, hopelessness, and worthlessness that continues over a period of time. The person may have a medical condition and may need counseling or other medical help. Harassment-When someone continues to say or do things in ways that are intented to disturb or upset another person, even when they have been asked to stop. Cyberbullying-The use of technology (the Internet, social networking, texts, etc.) to bully or harass someone. Other sensitive or urgent issues: dating violence, drug or alcohol use, threats against the school, weapons on campus, etc. Students or parents can use Anonymous Alerts to anonymously report these issues to school officials so that they can be addressed. Go to the AHS home webpage and click on Anonymous Alerts. 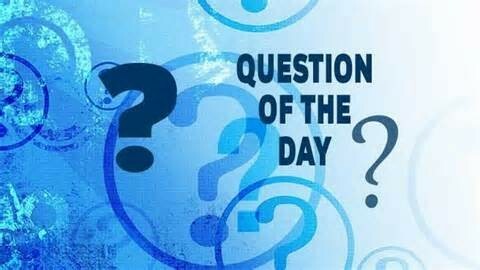 SAT "Question of the Day"
ACT "Question of the Day"
11th graders can start applying for college scholarships NOW...for any scholarship available to your age or grade level. Go to the Guidance webpage on the AHS website and click on Class of 2015, then click on 2015 scholarship list. These are the scholarships that we have been notified about so far this school year. Read through the list to see which ones you may be eligible for both now and in the future (dates and requirements will be similar). Copy websites for your future use...and get started!!! The biggest thing is...never pay for information on scholarship. The information is out there, and is always free. Search the Internet for suggestions and ideas. 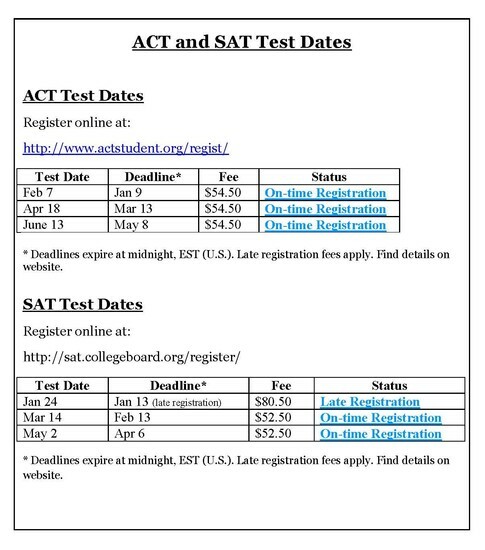 Make sure you’ve had your SAT and/or ACT test scores sent to colleges that require them. Confirm that your letters of recommendation have been received by colleges. Contact colleges that didn't send you a confirmation receipt for your application. Don't put off applying to schools with rolling admissions or late deadlines -- the available spaces can fill up. Talk to your school about registering for AP exams. Keep your grades high. Colleges can revoke offers of admission if your grades take a nosedive senior year. Some acceptance letters may arrive. Compare financial aid offers and visit campus before making a decision. 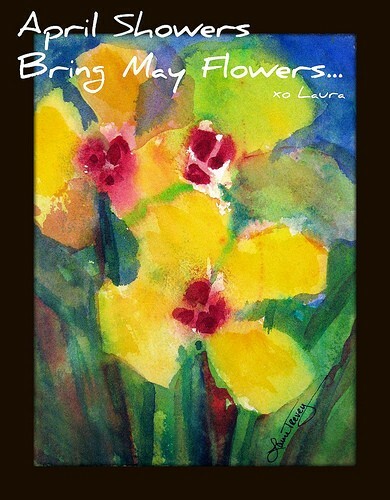 Don't panic; many decisions are not mailed out until April and some in May. Continue applying for appropriate scholarships. Continue to check the AHS Guidance Webpage for SCHOLARSHIPS. Make sure to apply for NCAA/NAIA if you hope to play college sports (must be completed before the end of your junior year for 2016 graduates and beyond). Come up with a preliminary list of colleges that you want to consider. Prepare to take the ACT at Airport High School in April. Register to take the SAT on May 2nd. Check the AHS Guidance Webpage for Summer Opportunities. Students hoping to play sports in college must register for NCAA. Go to Guidance Webpage for information and link. Discuss your career and college plans with your parents. Get familiar with the college admissions process so you'll know what to expect before college. Find ways to start preparing for the SAT or SAT with your friends. Make sure you are taking the courses you need both to graduate and prepare for your future goals. Sophomores hoping to play sports in college must register for NCAA before the end of the school year. Go to Guidance Webpage for information and link. Hold your Freshman IGP Conference. Discuss what you can do today to plan for college. Get a jump on college prep by choosing a challenging schedule for next school year. Become a well-rounded student by getting involved in extra-curricular activities. Look through the 2015-16 Course Catalog on the AHS Guidance Webpage. Contact your school counselor by email or by going to the AHS Guidance webpage and clicking "Make Appointment."